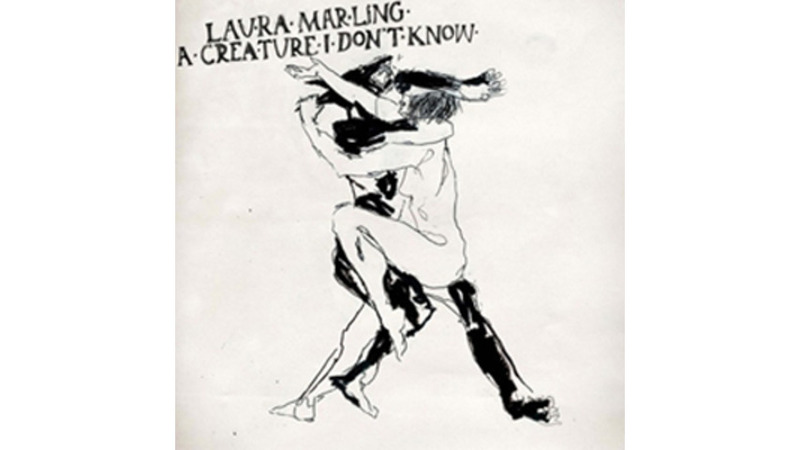 Laura Marling sings in a clear, expressive voice that swoops birdlike from a dusky croon to a wry sing-speak. “The Muse,” which opens her third album, the adventurous A Creature I Don’t Know, may be the best showcase yet for that impressive vocal range: She sings most lines forcefully, exerting herself over the full folk accompaniment, then sings-speaks the last line of each stanza—more like an actor than a musician. It’s a simple, yet powerful technique, one that adds drama to the song and gives this 21-year-old artist a presence and authority that may belie her age. For five years, Marling has been a mainstay on the London folk scene that produced Mumford & Sons and Noah & the Whale, yet unlike her compatriots, she’s much more interested in British folk sounds than in American folk idioms. Over three albums in four years, she has developed a sound that rightly bears comparison to Sandy Denny, Fairport Convention and John Martyn. She seemingly has no desire, however, simply to re-create a moment in pop history, but instead employs the deeper recesses of her record collection to comment on herself in the present. Marling is a confessional singer-songwriter, but there’s so much care and attention given to her lyrics and music that she never comes across as self-absorbed or driven by exhibitionist motives. Even on quieter tunes like the harrowing “Night After Night” or more ominous numbers like the boisterous “The Beast,” A Creature I Don’t Know maintains this undercurrent of celebration—of excitement in self-expression. Marling savors the subtlest modulations in her vocals and slightest details in her arrangements—the thrumming acoustic bass on “My Friends,” the delicate finger-picking on “Rest in the Bed,” the leering electric guitar on “The Beast.” She’s closely attentive to the particulars of her folk songs, which allows them to reveal deeper and darker secrets with each listen and to resonate long after the record has stopped spinning.